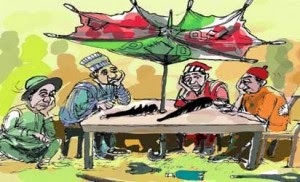 The Bayelsa State Chapter of the Peoples Democratic Party (PDP) has expelled nine of its members from the party over anti-party activities in the last general elections. The decision for the expulsion is contained in a statement presented to Journalist by the state Acting Chairman of the party, Chief Serena Dokubo Spiff, at the party’s Secretariat in Yenagoa. The affected members are; Senator Nimi Barigha-Amange, Mr. Nestor Binabo, a former acting Governor of the state, Chief Werinipre Seibarugu, Mr. Waripamowei Dudafa, also a former acting Governor, Special Adviser to the President on Domestic Affairs and Mr. Chamberlain Kren Ikidi, others are, Mr. Osomkime Blankson, Mr. Emmanuel Okponipre, Mr. Ebikapade Dibiya and Joyce Fouyowei. According to the statement, the decision for the expulsion of the members followed an unanimous voice vote by members of the State Executive Committee, after deliberations on the report submitted by the Chairman of the PDP Disciplinary Committee set up on the 19th of April to investigate the conduct of members of the party in the last electoral outing. The statement however noted that some of the members, who are in the National Assembly or holding appointments at the national level would be referred to the national body of the PDP for further disciplinary measures in line with the provisions of the party’s constitution. Such members are: Retired Colonel Sam Inokoba, Senator Emmanuel Paulker, while Fiebai Gbeinbo has been suspended for three months. Chief Dokubo-Spiff in the statement announced that, Mr. Leghemo Kaiser and Mr. Denyabofa Dimaro are to render apology to the leadership of the PDP, while Dr. Godson Omubo-Dede and Mr. Dan Omubo-Dede have been reprimanded. The statement also revealed that a Contact and Reconciliation Committee has been set up to look into the grievances of members and reconcile them back to the PDP fold.